HUGE NEWS TODAY FROM THE DEPARTMENT OF JUSTICE! See article below, and If you know of any federal prisoners convicted of low-level drug offense, please encourage them to apply for clemency. Here is the Department of Justice’s website on how to apply for federal clemency: http://www.justice.gov/pardon/pardon_instructions.htm. WASHINGTON — The Justice Department wants low-level drug criminals who were sentenced under tough laws from the days of the crack epidemic to ask the president for early release from prison. In an unprecedented move, Deputy Attorney General James M. Cole asked defense lawyers on Thursday to help the government locate prisoners and encourage them to apply for clemency. The clemency drive is part of the Obama administration’s effort to undo a disparity that flooded the nation’s prison system and disproportionately affected black men. Offenses involving crack, which was more commonly used in black communities, carried more severe penalties than crimes involving powder cocaine, which was usually favored by affluent white users. In some cases, crack crimes resulted in a 100-to-1 sentencing disparity. Congress reduced that disparity in 2010. In December, President Obama commuted the sentences of eight federal inmates who received sentences under the old rules. Congress is considering a bill that would make the new sentencing guidelines retroactive, which could make up to 12,000 prisoners eligible for reduced sentences. That bill would have a quicker, more organized effect than the nationwide push for clemency applications. But lawyers and civil rights advocates see the Justice Department move as an example of Mr. Obama using executive authority to advance policy goals, something he pledged during his State of the Union speech this week. “They’re setting the stage for executive action if Congress doesn’t act,” said Laura Murphy, director of the American Civil Liberties Union’s legislative office in Washington. About 30,000 inmates — roughly 15 percent of the prison population — were serving crack sentences at the end of 2011, according to federal data. Attorney General Eric H. Holder Jr. said the prison system accounted for 30 percent of the Justice Department’s budget, which strained the department’s ability to conduct its other law enforcement missions. By asking defense lawyers to solicit names for clemency consideration, the Justice Department is setting up a crush of applications to its pardon unit, which already faces a backlog and receives thousands of new requests each year. There was strong support in both political parties for changing the sentencing rules in 2010, but the question of whether to apply them to people already in prison was more contentious. The Senate Judiciary Committee approved a bill on Thursday that would allow prisoners who were sentenced under the old rules to ask judges to let them out of prison early. The bill would also reduce some mandatory minimum sentences and give judges more discretion in setting prison terms. The fate of that bill is not clear. It has supporters in both parties, but some in law enforcement have criticized its approach to mandatory sentences. This week, a group representing Justice Department prosecutors — Mr. Holder’s subordinates — sent him a letter raising concerns about the Senate bill. “Mandatory minimum sentences are a critical tool in persuading defendants to cooperate, thereby enabling law enforcement to dismantle large drug organizations and violent gangs,” the National Association of Assistant United States Attorneys wrote. We cannot talk constructively about criminal justice reform, reentry, and progress toward social justice without first reflecting honestly on our nation’s past. There is no doubt that the United States, which incarcerates more of its citizens than any other nation — with an increase in its jail and prison population from 200,000 to 2.3 million in the past 40 years — disproportionately incarcerates people of color. Nearly one out of every three American black men in their twenties is in jail or prison, on probation or parole, or otherwise under criminal justice control. Black men are eight times more likely to be incarcerated than white men. So we encourage you to reflect on our past, no matter how much we might want to look away, and to think about how America’s Era of Slavery — which lasted more than 200 years and ended only 150 years ago with the Emancipation Proclamation — lives on today in the ways we criminalize, incarcerate, and punish, both inside and outside of prison walls. Words can create barriers between us — as well as help to dissolve them. Today we are sharing an open letter circulated by the Center for NuLeadership on Urban Solutions (PDF here) that illuminates how public discourse – in particular, about currently and formerly incarcerated people – shapes our social realities. This letter below, which reached us via email, reminds us of the humanity we all share, even in the face of apparent differences among the life struggles and institutional labels we bear. We find that Eddie Ellis’s call for humane language resonates deeply with R&R’s mission, and we hope it inspires you, our readers, to practice mindful expression. The Center for NuLeadership on Urban Solutions (CNUS) is a Human Justice policy, advocacy and training center founded, directed and staffed by academics and advocates who were formerly incarcerated. It is the first and only one of its kind in the United States. One of our first initiatives is to respond to the negative public perception about our population as expressed in the language and concepts used to describe us. When we are not called mad dogs, animals, predators, offenders and other derogatory terms, we are referred to as inmates, convicts, prisoners and felons—all terms devoid of humanness which identify us as “things” rather than as people. These terms are accepted as the “official” language of the media, law enforcement, prison industrial complex and public policy agencies. However, they are no longer acceptable for us and we are asking people to stop using them. In an effort to assist our transition from prison to our communities as responsible citizens and to create a more positive human image of ourselves, we are asking everyone to stop using these negative terms and to simply refer to us as PEOPLE. People currently or formerly incarcerated, PEOPLE on parole, PEOPLE recently released from prison, PEOPLE in prison, PEOPLE with criminal convictions, but PEOPLE. The Center for NuLeadership on Urban Solutions believes that if we can get progressive publications, organizations and individuals like you to stop using the old offensive language and simply refer to us as “people,” we will have achieved a significant step forward in our life giving struggle to be recognized as the human beings we are. 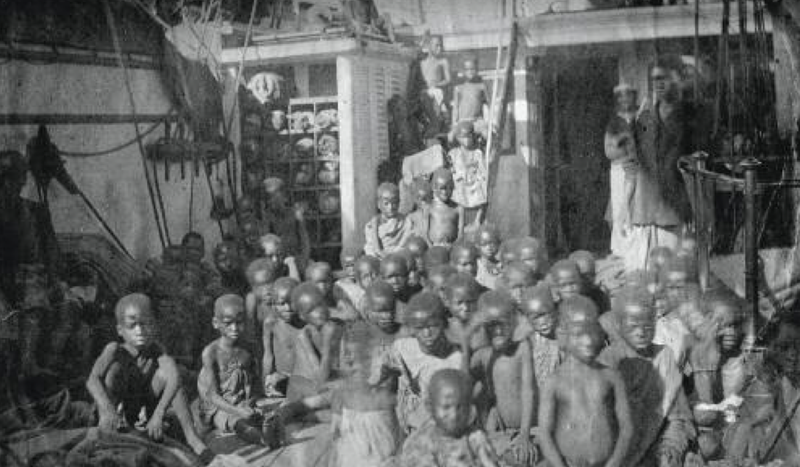 We have made our mistakes, yes, but we have also paid or are paying our debts to society. We believe we have the right to be called by a name we choose, rather than one someone else decides to use. We think that by insisting on being called “people” we reaffirm our right to be recognized as human beings, not animals, inmates, prisoners or offenders. We also firmly believe that if we cannot persuade you to refer to us, and think of us, as people, then all our other efforts at reform and change are seriously compromised. Accordingly, please talk with your friends and colleagues about this initiative. If you agree with our approach encourage others to join us. Use positive language in your writing, speeches, publications, web sites and literature. When you hear people using the negative language, gently and respectfully correct them and explain why such language is hurting us. Kindly circulate this letter on your various list serves. Please see below for 4 easy steps to follow. If you disagree with this initiative, please write and tell us why at the above address or e-mail us at info@centerfornuleadership.org. Perhaps, we have overlooked something. Please join us in making this campaign successful. With your help we can change public opinion, one person at a time. Be conscious of the language you use. Remember that each time you speak, you convey powerful word picture images. Stop using the terms offender, felon, prisoner, inmate and convict. Substitute the word PEOPLE for these other negative terms. Encourage your friends, family and colleagues to use positive language in their speech, writing, publications and electronic communications. 9. When Victims Speak Up– In Defense of Offenders– and Their Beliefs in Life— A story that will restore your faith in humanity. In past posts on the Root & Rebound blog, we’ve talked about the “collateral consequences” of a criminal conviction, and what is meant by that term. After a person gets out of prison or jail, the punishments and restrictions imposed by law don’t stop. We also shared with you a state-by-state guide being developed by the American Bar Association tracking federal and state civil legal consequences triggered by different types of convictions. That resource is great for understanding how a person will be legally affected by his or her criminal record. Today, in trying to expand on our readers’ and our own understanding of the ways in which people face legal barriers after incarceration, we want to highlight a federal law that severely limits reentering people from getting back on their feet. The Personal Responsibility and Work Opportunity Reconciliation Act (PRWORA), passed by Congress in 1996, permanently bars people with drug-related felony convictions from receiving federal cash assistance (known as Temporary Assistance for Needy Families or “TANF ban”) and food stamps (known as Supplemental Nutrition Assistance Program or “SNAP ban”) during their entire lifetimes, unless their state opts out or modifies the federal law. 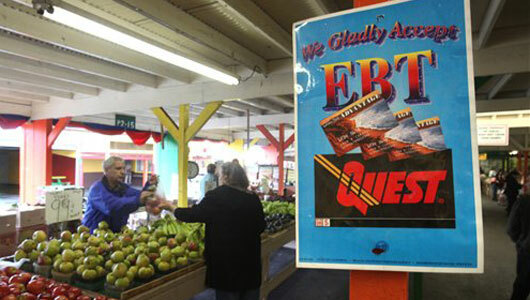 The federal ban on cash assistance and food stamps is imposed ONLY for drug-related crimes. Although the federal law (codified at 21 U.S.C. 862a) gives states the power to opt out, a 2011 review of state policies by the Legal Action Center documents that still today, three-quarters of the states enforce the ban in full or in part: 37 state fully or partially enforce the TANF ban, while 34 states either fully or partially enforce the SNAP ban. Of these states, about half have modified the ban to allow individuals with felony drug convictions to receive TANF or SNAP benefits under certain circumstances. This is a perfect and VERY SAD example of “collateral consequences of a criminal conviction.” A person is convicted of a drug-related felony, goes to prison, does his or her time and jumps through all the administrative hoops to eventually get out, but the punishment DOESN’T STOP. Why would the government impose a ban on welfare and food stamps for people with felony drug-related convictions but not others? Why would the government impose such a ban at all? Are drug-related crimes more harmful to society than other crimes? Do they hurt more people? Don’t people with drug-related convictions have the basic human need to eat; don’t many people with drug-related convictions face the issues of poverty as do the millions involved in our country’s criminal justice system? In essence, this is a federal law that denies people with drug convictions their humanity; it denies people the financial support to eat and survive; it treats them as undeserving; and it keeps many people trapped in poverty. We share this law with you, our readers, because we believe it denies people in reentry their dignity as human beings and many don’t even know it exists. (1) A lifetime ban produces no state savings for SNAP. Because SNAP benefits are 100% federally funded, allowing individuals with drug convictions to receive them does not burden state budgets, and prohibiting the receipt of benefits based on a prior drug felony conviction produces no state savings. In addition, screening for former drug felony convictions may actually increase a state’s administrative burden. Finally, bringing more nutrition assistance dollars into the state that would be spent in local grocery stores and other community businesses benefits local economies. (2) A lifetime ban is counterproductive. The ban prevents many individuals from transitioning into recovery and economic stability. Formerly incarcerated people have difficulty getting jobs even in good economic times because felony convictions lower employment opportunities due to stigma and legal barriers to employment. After their release, reentering people are out of work about half the time and earn on average around $9,000 per year. As a result, temporary public assistance benefits are critical income supports during a formerly incarcerated person’s transition from prison to community living. Access to SNAP and TANF helps to lower recidivism because formerly incarcerated people are less likely to resort to illegal activity in order to support themselves and their families while they work to improve their circumstances and get a stable, living-wage job. (3) A lifetime ban is a burden on families. When a formerly incarcerated person is denied benefits, the entire family suffers from reduced benefits. Although children of people with felony drug convictions remain eligible to receive public assistance, benefits are calculated in such a way that assistance declines for an entire household, so that fewer benefits must support more people than intended, resulting in inadequate funds for food, rent, and other resources necessary for survival. As a result, the children and other dependents of people with felony drug convictions become the unintended victims of this ban. (4) A lifetime ban disproportionately affects women and their children. Women, especially women of color, and their children disproportionately suffer the most severe consequences of this ban because they receive these benefits in higher proportion to other groups of recipients. This is especially true for TANF. Women are more likely than men to be custodial parents with low incomes and thus otherwise eligible for TANF benefits. In states that implemented the full ban on TANF, the GAO estimated that approximately 25 to 28% of women, but fewer than 15% of men, convicted for drug-related offenses, released from prison in 2001 could be affected by the ban on TANF benefits. In addition, it was estimated that the ban on SNAP benefits affected 22% of people released from prison in 2001 in states with lifetime bans on SNAP benefits, as compared to 36% of women released from prison. In practice, the ban means that a woman returning home from prison is left with no safety net for her and her children. The loss of these benefits could also determine whether women retain or regain custody of their children because the inability to provide food and basic necessities may increase the likelihood their children will be removed from the home by child welfare services. (5) A lifetime ban jeopardizes recovery from drug and alcohol addiction. For those individuals with drug felony convictions that have addiction problems, many are only able to pay the cost of room and board at residential alcohol and drug treatment programs because they concurrently receive nutrition assistance from SNAP or work-support assistance through TANF. As a result of the ban, those seeking recovery from addiction are less able to afford and stay in treatment. The Legal Action Center has an online advocacy toolkit for people who want to see this federal welfare and food stamp lifetime ban for people with felony drug convictions changed or taken off the books. For those of us who believe that all people are deserving of the ability to achieve financial stability and the ability to eat, this is a great resource for how to advocate for policy change on this issue. They also provide model laws from states like Ohio and Maine that chose to explicitly opt out of the federal ban. Other states, like California, have modified the ban and are on the right track, hopefully to removing it altogether (In California, the ban on receiving food stamps through the state’s SNAP program, called CalFresh, and the ban on cash assistance through the state’s TANF program, called CalWORKS, do not apply to individuals in treatment or who have completed treatment. For all others, the ban remains in full effect in California). We hope this post has provided a window into the many ways in which our laws keep formerly incarcerated people disenfranchised and struggling without help and have inspired you to demand change. Hello and happy Tuesday, blog world! 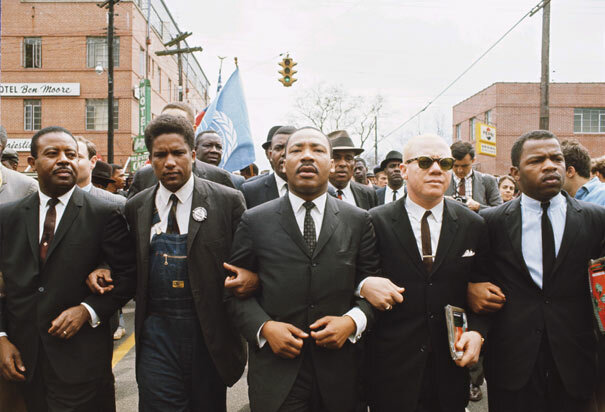 We hope that yesterday was a restful and relaxing day for all of you—and a chance to reflect on the life and vision of Martin Luther King, Jr., and how each of us can set goals this year to help make his vision of a more equal and just world a reality. In that vein, today we wanted to share an incredible resource that we’ve come across in our research: Back to School: A Guide to Continuing Your Education after Prison. This guide, by the Prisoner Reentry Institute at John Jay College in 2010, is a wonderful resource and should be shared with advocates, community based organizations, government agencies, probation and parole offices, corrections departments, and of course, incarcerated and formerly incarcerated people. Why do we love it so much? First, the information applies nationally—to all people leaving state prison across the U.S. who want to continue their education. Second, this guide is for people at all levels of education—people who want to get their GED and people who want to pursue a PhD, and everyone in between, with information about how to pursue each point in education, including vocational training. Third, it is written in PLAIN ENGLISH! No legalese, no academic speak, just plain language that is digestible and makes complicated topics and systems actually understandable. Lastly, the substance of the guide is incredible, because it explains not just roadblocks in education and how to get around them, but acknowledges that there are many other areas of civil life that require support before and along with pursuing an education—a holistic approach. There is information on how to get a state ID, a driver’s license, a Social Security card, a copy of a RAP sheet/ criminal record, and the like. There is also great information on the financial aid system, how to apply for student loans, and the ban on financial aid for people with drug convictions. The guide even includes a glossary of helpful documents and information, including a weekly schedule to help people organize their time and plan wisely and a sample resume. This guide was extremely helpful to us in understanding how to assist folks in reentry who want to get back to school. We hope you will use it as a resource and share it widely. 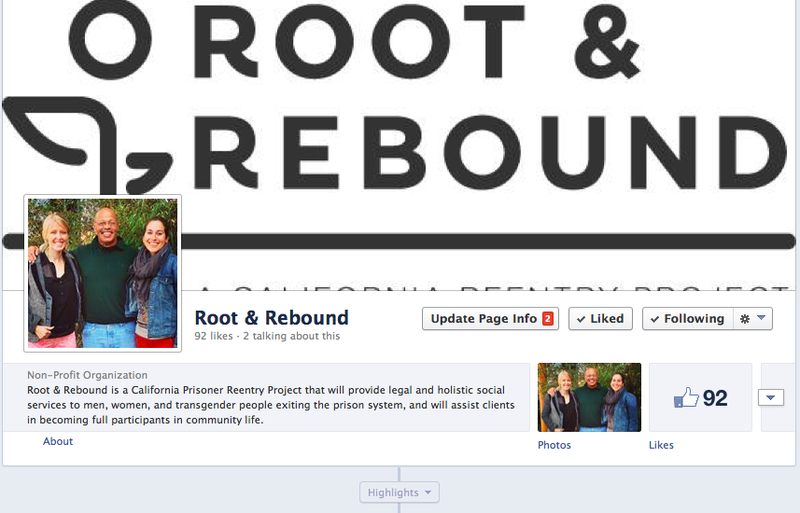 Root & Rebound Now on Facebook! Today, there sure are lots of ways to keep people updated on our work, and slowly but surely, we are developing our social media presence… (we still have yet to tweet and ‘gram, but we promise it will all be forthcoming!). We are excited to introduce our brand new FACEBOOK PAGE to you all. This is just one more way for you to get updates of our work and progress, and to share your ideas, suggestions, and feedback with us. Please “LIKE” us today to show your support for our work. Today, you can go to the Facebook page to see the unveiling of our brand new logo (fun colored version to come)! 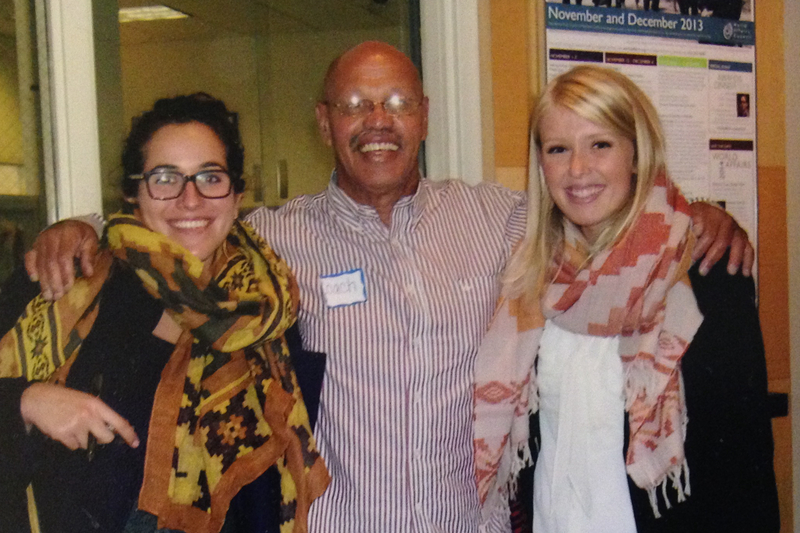 2013 was a big year for reentry and criminal justice reform legislation in California. A lot of wonderful and important changes were made. These reforms promote public safety and human rights for people coming out of prison and jail. And changes at the top have a ripple effect on our work—these changes mean that Root & Rebound and other reentry orgs can do more for clients who are trying to get their lives back on track after incarceration. Below you will find the criminal justice reforms and reentry legislation that was passed, vetoed by the Governor, or is currently pending in California over the 2013-2014 legislative term. AB 218 (Dickinson) — Research shows again and again that stable employment significantly reduces the likelihood that someone who has been incarcerated will reoffend. Barriers to employment for the nearly seven million adult Californians with a criminal record make their successful reentry into society even more difficult, which affects public safety. Otherwise qualified individuals are often discouraged from applying for work because job applications ask about conviction histories. 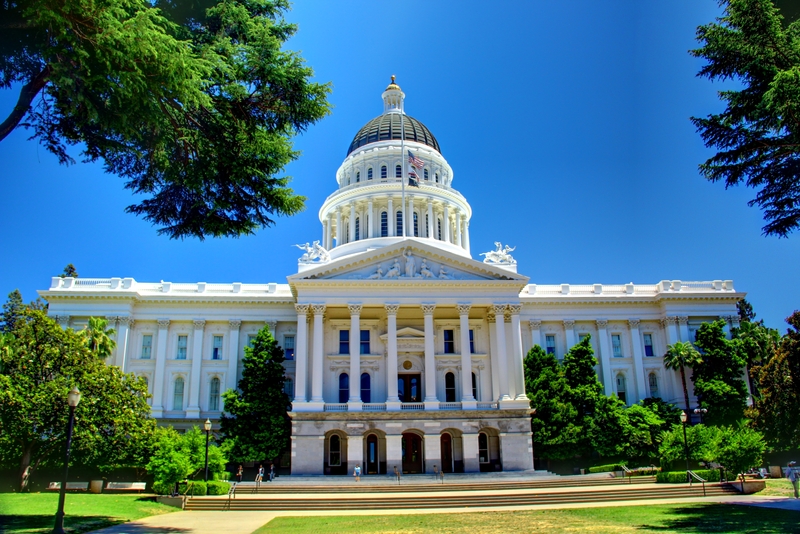 AB 218 prohibits state and local agencies from inquiring about an applicant’s record until the agency has determined the individual meets the minimum employment qualifications for the position. AB 625 (Quirk) — authorizes a Prisoner‘s Identification Card to be used as a valid ID for a notary to formalize legal documents while a person is in prison. AB 651 (Bradford) — Fills a critical gap in the law and helps to reduce barriers to reentry. Under AB 651, people who complete a local sentence under the new Realignment laws have an opportunity to petition for “set aside and dismissal” (also known as “expungement”), after completing a waiting period and demonstrating rehabilitation to the court. This process is similar to the one already available to individuals who successfully complete felony Probation, and does not mean that a conviction is removed from a person’s record. AB 720 (Skinner) — Many people in jail have mental health or addiction problems, and as many as nine in 10 have no health coverage. Studies show that enrolling jail populations in federally funded Medi-Cal can reduce recidivism (16 percent for those with mental illness) and save money. This bill provides a framework for counties to automatically enroll eligible people in jail in Medi-Cal and provides counties with valuable tools for enrollment, including authorizing counties to enroll individuals on their behalf, and allowing someone with Medi-Cal coverage to have it suspended, instead of cancelled, if they are incarcerated again. This ensures that upon release they can access medical care, mental health care, and substance abuse treatment. 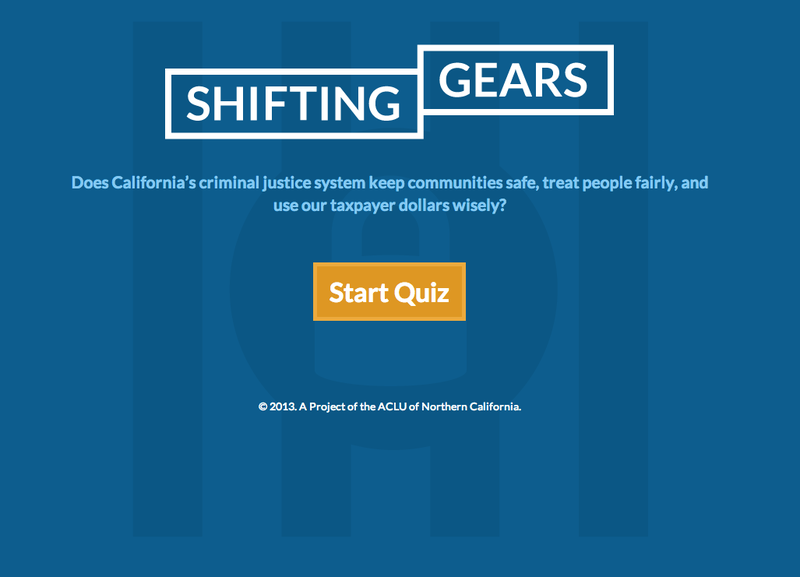 AB 752 (Jones-Sawyer) — Under existing law, people who are sentenced to county jail for misdemeanors are eligible for work furlough programs focused on job training and rehabilitation. These programs also allow people with employment to maintain those jobs (key to reducing recidivism) and reserves jail space for higher-risk people. AB 752 would extend these programs to people serving time for specific low-risk felonies in county jail. SB 260 (Hancock) — Recent scientific evidence on adolescent brain development shows that certain parts of the brain, particularly effecting decision-making and judgment, do not fully develop until one’s early 20s. Both the U.S. and California Supreme Courts recognized the significance of this research and banned mandatory life sentences for juveniles; California also banned the imposition of de facto life sentences for juveniles. SB 260 would create a parole process for people given lengthy sentences as juveniles, recognizing the role of brain development while still holding him or her accountable for the crime. SB 513 (Hancock) — Provides that in any case where a person is arrested and successfully completes a pretrial diversion program, the person may two years later petition the superior court to seal the arrest and related court records. SB 530 (Wright) — In California, a court may grant a Certificate of Rehabilitation to state by court order that a person has fully rehabilitated and reinstating many of their civil rights. The mandatory rehabilitation period is 7, 9, or 10 years depending on the offense (see PC § 4852.03). SB 530 now allows a court to grant a Certificate of Rehabilitation before the applicable period of rehabilitation. STATUS: Signed into law in October 2013, effective January 1, 2014. SB 283 (Hancock) — This Bill would allow individuals, previously convicted of a drug felony, who meet all other eligibility rules to receive basic needs services, employment training and work supports through the federally-funded California Work Opportunity and Responsibility to Kids (CalWORKS) and CalFresh programs, provided that they are complying with the conditions of probation or parole, or have successfully completed probation or parole. AB 601 (Eggman and Cooley) — Would develop effective approaches to reduce probationer caseloads and incentivize successful probation completion. AB 938 (Weber) — Would provide that a person is not excluded from voter eligibility if he or she is on post-release community supervision or mandatory supervision. STATUS: Currently held in the Senate Committee on Elections and Constitutional Amendments. Read about the Greenlining Institute’s support and co-sponsorship of AB 938 here. SB 649 (Leno) would give District Attorneys and Judges discretion to charge simple possession of certain controlled substances as either a misdemeanor or a felony (called a “wobbler”). Current law requires such cases be charged as felonies. The legislation would not have changed the penalties for sale, transportation, manufacture, or possession for sale. In thirteen states, the District of Columbia and the federal government, the penalty for simple drug possession is already a misdemeanor and those states have slightly lower crime rates than felony states and slightly higher rates of people entering drug treatment. This Bill will have helped to alleviate prison overcrowding and potentially saved the state millions of dollars. Thank you to the many great organizations in California that support criminal justice policy reform, including Californians for Safety and Justice, East Bay Community Law Center, National Employment Law Project, A New Way of Life, Legal Services for Prisoners with Children, ACLU, Drug Policy Alliance, NAACP, Western Center on Law & Poverty, and to the constituents who have fought so hard for safety and justice in California! How much does it cost on average to hold a person in a California prison for 1 year? How long does a felony stay on someone’s record in California? How many new prisons has California built since 1980? Click here and see what you know. Were you surprised? Were you bothered by the answers? I know we were.